LOCAL political think-tank, Zimbabwe Democracy Institute (ZDI), has claimed that contrary to denials by public officials, a huge number of soldiers had, indeed, been deployed in most villages across the country to intimidate the opposition and mobilise support for the ruling party ahead of the July 30 elections. 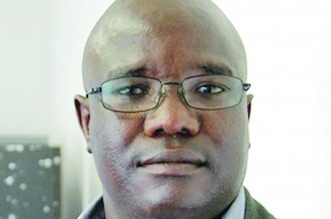 In a research paper titled Zanu PF/Military deterrence of the village vote, ZDI claimed that the President Emmerson Mnangagwa-led government had unleashed a sophisticated military scheme to instil fear in the electorate. “The main observation is that the Zanu PF government has innovatively increased military presence in villages, the intent being to have as much intimidated village voters as possible before the election date,” the research findings read. According to the research, 81% of the sampled respondents, who included key informants consisting of traditional leaders, Zanu PF members and ordinary villagers, all concurred that there had been an increased presence of identified soldiers in villages mainly in Mashonaland West and Central provinces. Their perceived agenda, according to the survey, is to campaign for the ruling Zanu PF party, as 38% of the sampled respondents clearly said the soldiers were campaigning for Mnangagwa to be voted into office in the coming elections. At least 57% of the sampled respondents went on to clearly disclose their embedded fear to vote for the opposition, as the military is reportedly using psychological coercion. ZDI director Pedzisai Ruhanya yesterday said the military was waging a covert “psychological warfare” on behalf of the ruling party. “Go beyond Harare and interact with the communities, you will be shocked. Most (election) observers are coming here with the view of seeing huts being burnt, but that is not what is happening. There is now psychological warfare, where people are being reminded of Gukurahundi and 2008 (violent elections),” Ruhanya alleged. But Zimbabwe Defence Forces spokesperson Colonel Overson Mugwisi recently dismissed reports that the military had been deployed in villages to support Zanu PF. He said the deployment of soldiers was only being done for border control operations, humanitarian, demining activities and artisanal construction projects, among other known military mandates. The ZDF had, by last night, not responded to NewsDay’s questions about the ZDI report, with police elections committee commander Assistant Commissioner Erasmus Makodza and national spokesperson, Senior Assistant Commissioner Charity Charamba dismissing the report as unfounded.